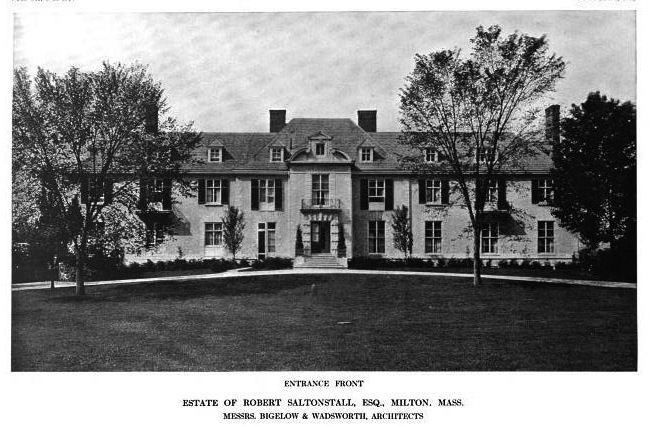 The Robert Saltonstall estate designed by Bigelow & Wadsworth c. 1911 in Milton, Massachusetts. I do not believe the home to be extant. As I've mentioned before, Bigelow & Wadsworth houses are as distinctive as a fingerprint, much as are Charles Platt's or Guy Lowell's. Funny thing is, though I can recognize their houses, I can't really put my finger on what it is about their proportions and detail that make it so. 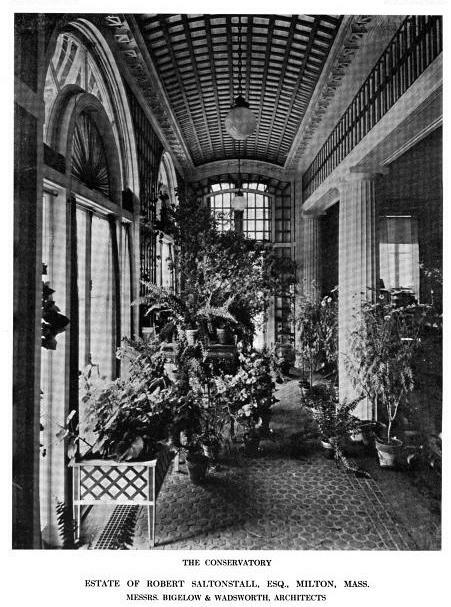 The conservatory here is a little bit of heaven. 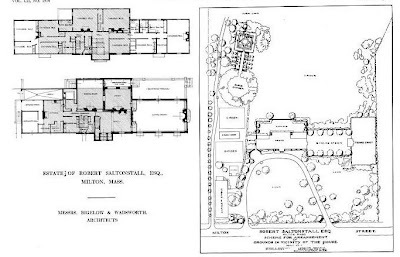 Note: Saltonstall genealogy has always given me a headache. Too many people with the same names spread over three centuries, combined with the usual Bostonian abhorrence of public notice, makes it very difficult to know who's who. 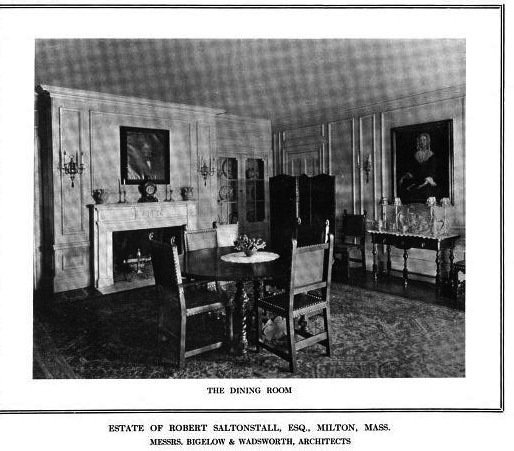 I *assume* this is the Robert Saltonstall who graduated from Harvard in 1892 and married Caroline James Stevenson in 1904, since that's the year before he bought the property. And if that's correct, they each have gymnasiums at Milton Academy named after them. 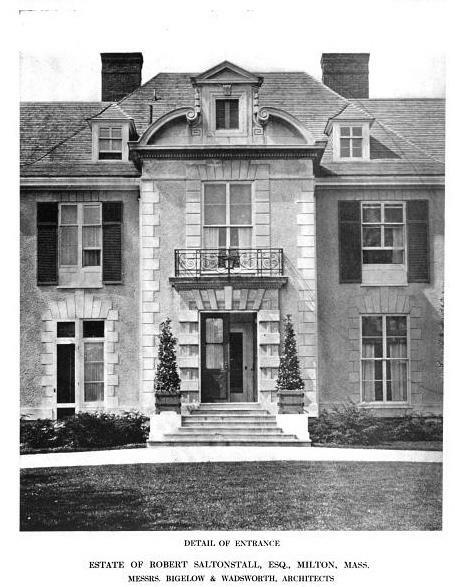 What do you think of that house on the corner of Milton Street and Blue Hill Ave.? Ancient, what I make of the house is that it is some sort of odd apartment or condo conversion, with odd staircases from the garden to second floor, and a surprisingly sympathetic new wing. I used to have a book with a couple of chapters about Milton estates, but can't find it. 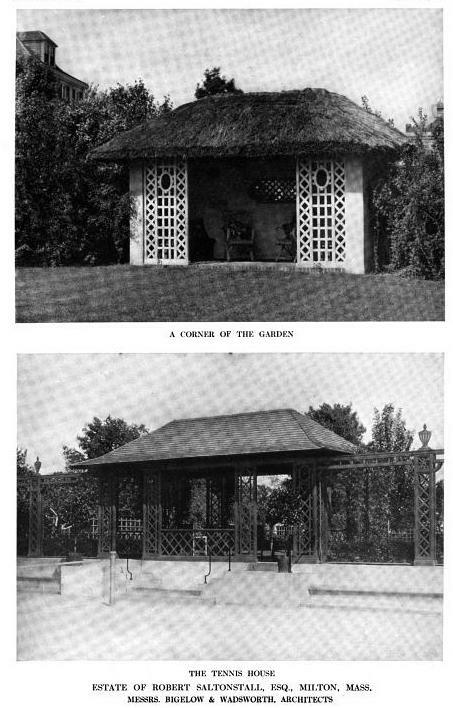 It looks to be by one of the usual Boston suspects---Peabody & Stearns, Andrews Jaques & Rantoul, Chapman & Frazer. Or maybe something to do with Curry College across the street? It's called Burr Estates, and is the 3rd largest condominium complex in Milton (of which there are four). The wing was built in 1981. And that's as far as my googling skills will get me. Original owner or architect eludes me. 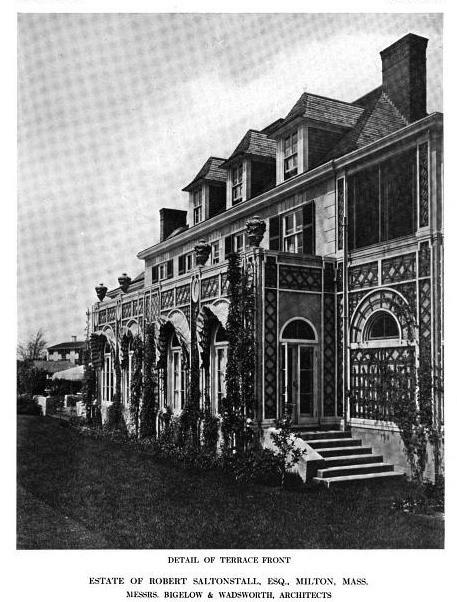 This estate home, although modified, still exists. In fact, it is currently for sale. 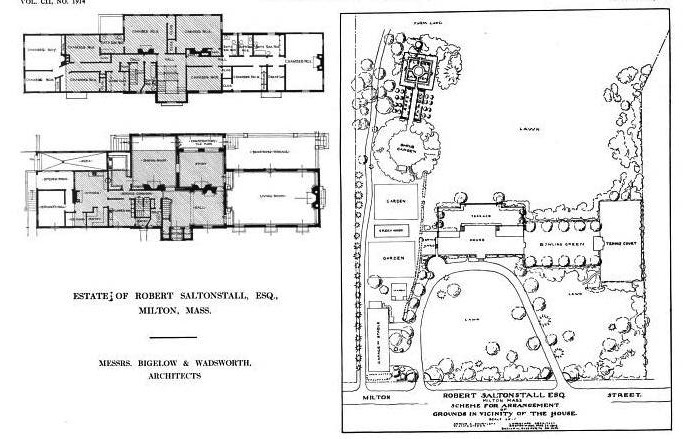 This Saltonstall Estate was called Intervale. Many of the other buildings from Intervale are still lived in as well- the carriage house, cow barn, and groundskeepers home. Anonymous November 5, 2015. This is NOT Intervale. 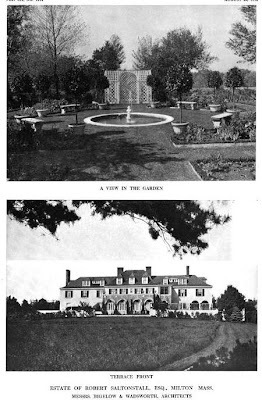 Intervale is at 704 Brush Hill Road, Milton. I spent many a New Year's house party at Intervale and despite considerable alcohol consumption would know it anywhere.